Wigan Athletic are looking at Manchester United to fill up their managerial vacant post as the Daily Star claim Sir Alex Ferguson has urged Wigan to appoint Mike Phelan. The Latics are currently with their third manager of the season after they sacked Warren Joyce in March only a few months after replacing Gary Caldwell who was also shown the door earlier in the season. Joyce came with a burden of expectations after successfully managing the Manchester United U23s, but he failed to cheer up the fans and found himself out of the club almost as soon as he got in. At the moment, Graham Barrow is the caretaker manager and he is expected to be in control of the first team until the end of the season. But he is not in the frame to secure a permanent deal, as Wigan are looking for someone else to take charge ahead of next season. 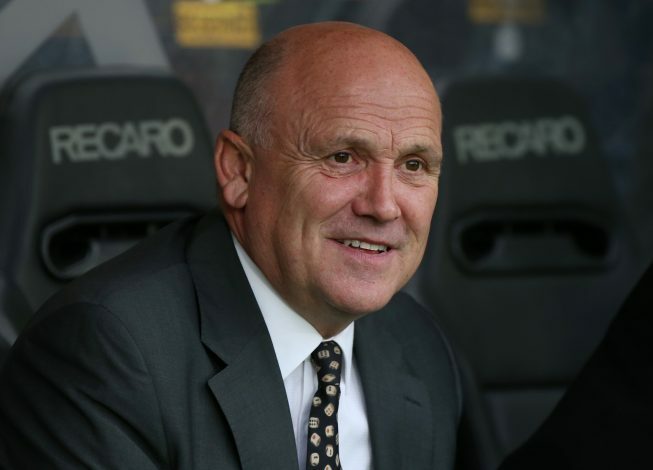 And one of the few candidates tipped to get the job is Mike Phelan, who once coached at Manchester United. Phelan was a long-time assistant to Sir Alex Ferguson, but he left for Hull City shortly after the legend retired. He started off this season as Hull’s caretaker manager before being given the job on a permanent deal after an impressive start. However, their form soon started to drop and he was sacked in January. But he could be set for a quick managerial return, with his old friend Alex Ferguson reported to be heavily lobbying Wigan chairman David Sharpe for him to become their new manager.